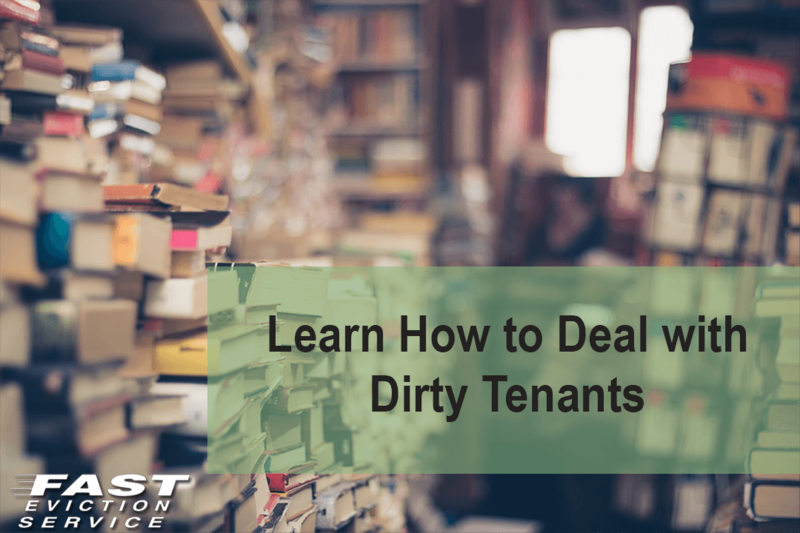 Having dirty tenants at your rental property is no less than a nightmare because they can effortlessly bring down the actual and supposed value of your unit. It is worth noting that unhygienic and unclean indoor environment is harmful for the property as the likelihood of invasion from bugs and rodents gets twofold and re-renting becomes a difficult task. It would be wonderful if you can identify dirty tenants before making the decision of renting your property but let’s admit that it is hardly possible. So, what happens when you have dirty tenants is that your property smells badly and its condition starts to deteriorate before expected. This is the right time to take action if you want to save your real estate’s property value and rental value. But what can you do? Let’s find out how to deal with dirty tenants. Dirty tenants are risky for your property and hence, if your lease allows it then you can order your tenant to clean up the unit and mend their ways. If they do not comply, you can evict them after the expiration of lease. Once they move out you must hire a cleaning company to clean-up your property and deduct the expenses from the tenant’s deposit. This would require you to include all the terms and consequences in the lease agreement. If you want to create a comprehensive lease agreement, don’t forget to include clauses regarding cleaning of the property. If you don’t add necessary clause in the lease, you cannot force your dirty tenants to comply and change their habits. Then the only possible solution is to wait until the lease expires and then evict them. You can add a clause in your lease agreement allowing the tenant to hire a maid at their own expense. A monthly maid service can be contacted to keep the property clean. However, don’t forget that tenants will feel insulted or may get annoyed when you include this clause and might not renew their lease when it ends. This would be beneficial for you since the maid service will ensure the property is tidy while the dirty tenants will evict themselves to save the maid service expenses or would make sure that the property remains clean. You need to clearly lay out necessary cleaning practices in the lease and explain to your tenants personally as well. If they don’t abide by the terms of the lease, you can legally evict them on grounds of violation of lease terms. Make it your responsibility to visit the property frequently after tenants move in or whenever you feel that there are issues, and point out the locations that require regular cleaning. A better idea would be to clean the area yourself to give them an idea. Different tenants will of course show different levels of cleanliness and care in the course of being tenants on your property. However, as with giving any feedback that you want to be heard and acted upon, the more specific you can be in communicating the problem and solution the greater the chances are the dirty tenant will understand what you are asking of them – that they may not even see or be aware of themselves.